While many online poker sites are losing sponsored pros (Vanessa Selbst, for example) the folks at 888poker have been bolstering their ranks of chosen ambassadors. Most recently, the Gibraltar-based gaming company signed Martin Jacobson, 2014 World Series of Poker Main Event champion, who’ll join Dominik Nitsche and Chris Moorman on the 888poker Team. Jacobson is Sweden’s all-time money winner with more than $16.5 million in tournament earnings. 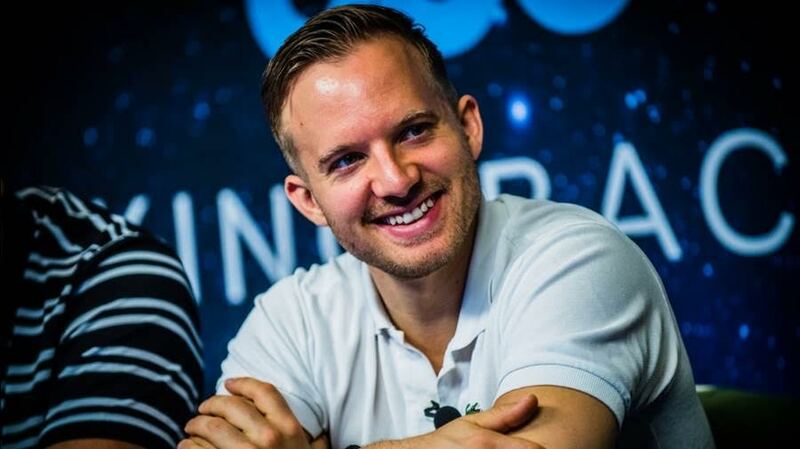 He joins Sofia Lövgren as the only Swedes representing 888poker. 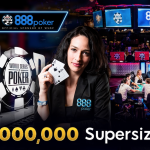 Others currently on the 888poker roster include Kara Scott, Natlie Hof, Parker “Tonkaaaa” Talbot, Bruno Foster, Vivi Saliba, and monomous Brazilian soccer star Denilson. In 2014, Jacobson navigated a field of 6,683 players to make that year’s November Nine, albeit as the short stack. He worked his magic and went on to win poker’s most prestigious title for a smooth $10 million. Of that, he donated $250,000 to REG charity, a foundation he supports and represents regularly. CardsChat: How did the opportunity to become a part of 888poker come about? Jacobson: 888poker and I have always had a great relationship and along with their recent movement of “taking back the game” they suggested that I would come onboard and officially join the team on their mission to establish themselves as one of the top three poker companies in the world. CC: Surely, you’ve had other opportunities to sign with poker sites, but you’ve now chosen 888poker. How come? Jacobson: I feel like now is the perfect time for me personally, but also considering how the poker market has changed just in the last couple of months. Ever since the golden years a decade ago, the market has slowly been dying due to regulatory challenges which led to the big operators’ unwillingness to invest in the market. PokerStars’ ownership being transferred to Amaya, a gaming company clearly without any knowledge about how the poker market works, really hurt the whole poker economy. After they bought FTP, they secured a monopoly, and since there was no competition they could operate in a way they believed maximized their returns using a very short-term business model. The recent rise of both 888poker and others as serious contenders to overtake PokerStars as the No. 1 operator has created a much-needed battle and as a result upswing in the poker market. 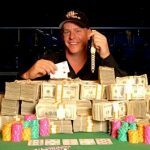 CC: After winning the WSOP in 2014, you kept a relatively low profile the following two years ($139,276 in 2015 winnings and $165,975 in 2016). What were you doing those two years? Jacobson: I suppose I had a bit of a “post Main Event” dilemma where I had motivational struggles, having accomplished the highest feat possible, while also seeing the poker market getting smaller and smaller. Similar to the poker operators losing interest to invest in the market when it struggles, the same could be said for me as a professional player. While I kept playing almost a full schedule, I was contemplating venturing into the business world and becoming an entrepreneur. I felt more motivated to create something I felt strongly passionate about and got excited over the ability to have full control over its success. After years of pondering I finally came to the conclusion that giving up a career doing something I love and am highly qualified in, to venture into something I have no experience or real knowledge of, wasn’t the wise thing to do. The grass isn’t always greener on the other side. Instead I chose a different approach, to invest in companies and build relationships with great entrepreneurs and be able to learn more about business from meetings with them. CC: How has your life most changed since winning the WSOP Main Event? Jacobson: Apart from the above, it actually hasn’t changed much. I know it’s not the most exciting answer to the question but it is the truth. I still play the same tournaments I did before and while my motivation to study has ups and downs, my love for the game has always remained the same. CC: The WSOP has done away with the November Nine. As someone who was a part of that, what are your thoughts on them doing away with it? Jacobson: I’m not usually one to embrace change to something that is working great. If it ain’t broke, don’t fix it. However, the new model brings some exciting improvements in that the viewers are able to follow the coverage live from start to finish through the stream. As a sports fan, I know the difference it makes to watch something live and raw rather than recorded and edited. It creates a new level of excitement which could be compared to a golf tournament. Who would watch US Open coverage if it was three months old and the results had been publicized? The lack of break before the final table favors the players who wouldn’t do any preparation before and the player with the best momentum on the final table bubble. It creates a different dynamic which means everyone will be heading into the final on more equal conditions. As a professional, all it means is that you have to make sure you’re prepared for the final table even before the start of the tournament. 888 Poker makes strong steps inviting such players in Team Pro to fight for the title one of the best poker rooms in the world! CC, thanks for opportunity to read interview with “Pride of Sweden”! This guy is a prince, well spoken, great player, very smart and it was a fantastic, quality, transparent interview. Great job! With 888Poker Pros adding Martin Jacobson to their school of sharks – 888Poker Pros have become a team to rekon with! 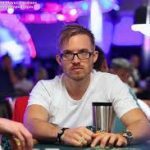 This Swede has won over $16.5 million in tournaments, Binked the 2014 World Series of Poker Main Event, and named the 2015 Swedish Player of the Year. So look out PokerStars – Jacobson and 888poker may be taking your raise over the top as the No. 1 operator.